The company may be hoping to pen some of the government's ethical standards. Amazon sells one of the most well-known facial recognition services — but now it’s calling on politicians to develop stronger regulations for the controversial technology. 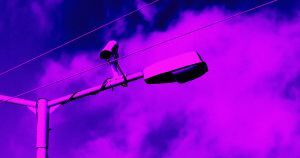 On Thursday, Amazon Web Services’ Global Public Policy VP Michael Punke published a blog post that outlined several key areas where policy surrounding facial recognition technology, especially when used by police, could be improved. It’s a bold public move that means Amazon is joining other prominent tech companies, especially Microsoft, that have also called for stronger rules about how their own facial recognition systems can be used — suggesting that business leaders are wisening up to how their technology can be abused. Much of the blog post could be read as an attempt to protect Amazon from mounting criticism over its facial recognition service, Rekognition. For instance, each proposed regulation, such as a call for improved transparency among organizations that use facial recognition tech, is followed by a note about how Amazon is already following its own proposals. Punke’s blog seems to insist again and again that Amazon is really the good guy here — the company just wants to make sure that its technology is used responsibly. In the blog, Punke seeks to discredit recent independent research that found that the system could make significant errors and also propagates racial and gender biases. Punke repeated the company’s official defense — which its own customer has debunked — that the researchers simply used Rekognition wrong. It’s this self-serving aspect of Amazon’s call for regulation that has drawn criticism from the ACLU. All the same, Punke is correct to assert that facial recognition software and those who use it should be subject to stronger regulations than they are today. He has a point; a recent survey found that Americans are fine with facial recognition software just so long as it works and is used responsibly. All the same, those regulations probably shouldn’t be drafted by the same company that makes a killing selling facial recognition tools to the police.